Rachel Hunt, an illustration student at Wandsworth Council’s Putney School of Art and Design, recently won the Linbury Trust Highly Commended Prize as part of the ‘Inspired by…’ exhibition at Morley Gallery. 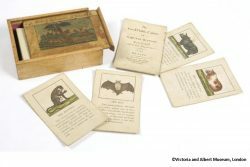 Rachel’s piece ‘Natural World Playing Cards’ has been inspired by the Victoria and Albert’s Museum of Childhood. 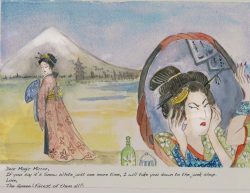 The ‘Inspired by…’ exhibition is an art competition and exhibition for people in adult education in the UK, inspired by exhibits in the Victoria and Albert Museum’s collections. Using the ‘French’ suits as inspiration Rachel gave them a modern twist. Inspired by the natural world, the four environments and the diverse creatures who live there: the forest; the jungle; the polar regions; and the ocean. The traditional suit symbols have been incorporated into the images as a reference to the history of the game. 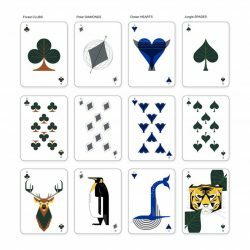 The ‘Kings’ of each of these environments have been selected as the King card: Stag; Tiger; King Penguin; and the Blue Whale. This piece of work was created as part of Rachel’s course in illustration at Putney School of Art and Design, which, in addition to helping her to generate ideas has given her the opportunity to get feedback on work and learn new techniques. 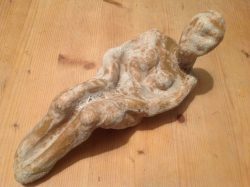 I llustration student, Mary Funk-Butterworth, and Ceramic Sculpture student, Paula Fitzgerald, who also attend Putney School of Art and Design are also on display as part of the exhibition. You can see all their work at the Morley Gallery between Tuesday 17 May – Friday 17 June 2016. Times: Monday to Friday 11am to 6pm; Saturday 12pm to 4pm (closed 4 June 2016); Sunday closed. Inspired by… is an exhibition showing artwork made by adult learners from all around UK, inspired by the Victoria and Albert Museum’s collections. Inspired by… 2016 is organised and hosted by Morley Gallery in collaboration with V&A Museums and supported by NIACE, craft&design magazine, the Rootstein Hopkins Foundation and the Linbury Trust. Inspired by…was run successfully by the V&A for a number of years and the competition has been organised by Morley since 2014. Putney School of Art and Design is managed and delivered by Enable Leisure and Culture on behalf of Wandsworth Council. Putney School of Art and Design was originally founded in 1883, and has been in Oxford Road, Putney since 1895. The main benefactor of the original Victorian school was Sir William Lancaster, an eminent local politician and philanthropist. With over 100 courses each term there is plenty to choose from, whether you are a beginner wanting to learn the basics of drawing, or and experienced student needing studio time and the advice of an expert tutor. PSAD offers taster courses at the beginning of each term if you are at all uncertain about committing yourself to a full term. Also look out for our half term and summer school intensive courses over 3 – 5 days. Enable Leisure and Culture is a company limited by guarantee, applying for charitable status and is partner to Wandsworth Council’s commitment to deliver first class leisure and culture services. As a Public Service Mutual, it is a form of social enterprise that manages and delivers the arts, bereavement services, parks, sports facilities, events, the film office, public halls and Putney School of Art and Design across Wandsworth on behalf of Wandsworth Council. The Linbury Trust is a charitable trust; it was established by Lord Sainsbury of Preston Candover KG (John Sainsbury) and his wife Anya, Lady Sainsbury, CBE, the former ballerina Anya Linden. The name ‘Linbury’ is thus derived from the names Linden and Sainsbury. The Linbury Trust was founded in 1973, since when it has made grants totalling more than £100 million. It is one of the group of grant-making foundations that are collectively known as The Sainsbury Family Charitable Trusts.